The Ghost pepper, Naga Jolokia, Nai Miris, Raja Mirchi (King of Peppers) and Nagahari are a few names that refer to the Hottest Pepper in the world. This pepper was discovered in India. The Bhut Jolokia is similar to the habanero pepper in appearance only. This pepper has a rougher more dented skin. Oh, and did I mention it is five times hotter than the Habanero. Gourmet magazine claims this is the new trendy pepper. I have never thought that I would be part of a trend, but 3 Bhut Jolokia plants are growing in my yard. I bought my plants from Cross County Nursery's. Two plants are in the ground and one is in a pot. The one in the pot is growing like gang busters. It is against the house wall that receives afternoon sun. It has been fed worm tea once a week. The peppers were planted in the middle of May. September is probably when the peppers will be ready for harvest. You may ask, why are you growing these Super Hot peppers? I guess it is because of my love and fascination with all things Chile. They are beautiful plants. They really compliment the garden. I wanted to share the progress of this pepper with you. In September there will be a tasting of peppers. Everybody is welcome to come by and try the Bhut Jolokia. The hospital is only 10 minutes away. My tomatoes are coming in like gangbusters. It is time to make pizza sauce. I will canvas the garden for all the ingredients. I have all the herbs needed and all the vegetables. The only store bought product will be the tomato paste and bacon. 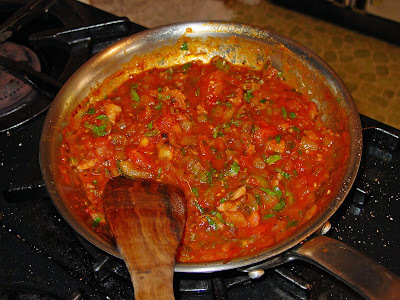 Paul Bertoli has a recipe for tomato paste. 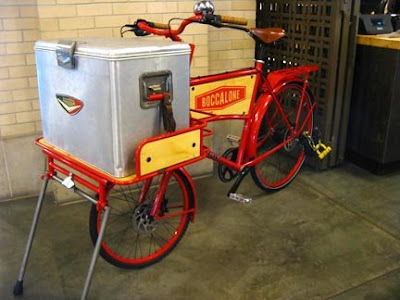 It is only a matter of time before I make my own. I just want to tell you how good it smells in the Chilebrown Kitchen. I like to take the skins off of the tomatoes. It only involves boiling a pot of water and blanching them. You need to cut the stem off and X the bottom. Rinse and squeeze the round orbits of summer.The skin will slide right off. Chop and your ready. Saute your Bacon and onion until soft. Add the garlic and tomato paste and cook for another five minutes. Add your tomatoes,honey vinegar and veggies, and simmer for 15 minutes. Turn the heat off and add herbs. One of my favorite side dishes to go with barbeque is baked beans. To create the ultimate beans you need to bake them in a low oven for hours. When the temperature is leaning to the upper end of the scale you probably do not want to run an oven. 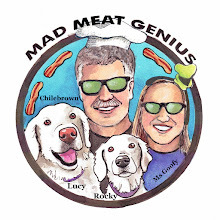 I have a Mad Meat Genius solution. Bake your beans outdoors in a portable oven. It is the perfect solution. 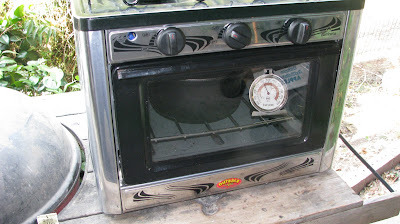 This is a small oven with two burners that runs on propane. 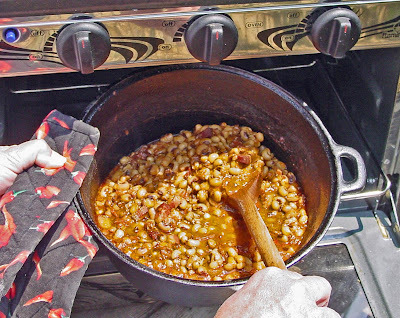 Today, I am baking some beans that are swimming in a bath of tomatoes, onions, bacon,sugar, molasses and spices. Combine all ingredients together in a cast iron pot except salt. Cover with lid. Bake at 300 degrees for 4 hours or until beans begin to soften. Add salt and remove lid. Bake until beans are nice and thick with sauce. I have fired up the Smokenator 100 to smoke some ribs. They will be the perfect accompaniment to some baked beans. 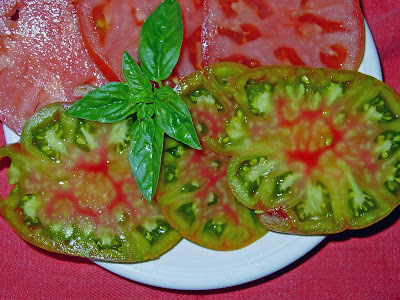 A green salad with some vine ripe tomatoes is in order. We will enjoy a nice meal without heating up the house. My sister (The President of Cookies) gave me a Christmas present of some Giant Pumpkin Seeds. They are from a prize winning pumpkin. It came with an instructional video. In the video the seeds were started in a hot house. The plant was then planted in soil with warming coils. They were fertilized and watered almost hourly. Their pumpkin reached the size of 1500 pounds. It was a beauty! I have not been as dedicated. I do hope to at least reach 600 pounds. 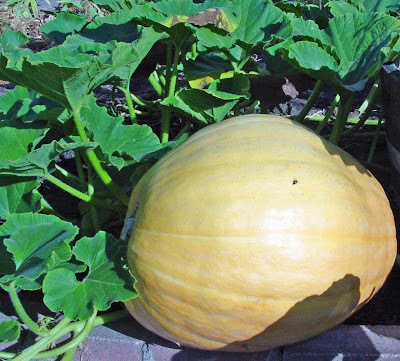 That will be plenty large enough to make a pumpkin boat. 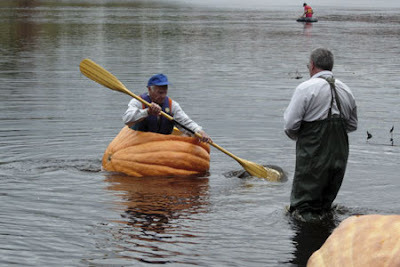 In Nova Scotia Canada they have pumpkin boat races on Lake Piziquid. They hollow out mammoth gourds and race them across the lake. I am going to start my own event. I am going to paddle the Rodeo Creek to the Bay. Maybe I can generate enough interest and more people will get involved. I am guessing my pumpkin weighs around 100 pounds. I still have a couple more months of growing time. I do not dare think of the cost of water for this monster. It will be worth it when I paddle down the creek into history. These are the Magic words of summer. How can you beat a vine ripe tomato paired with a crisp wedge of lettuce and some sweet,smoky bacon. I am going to try. 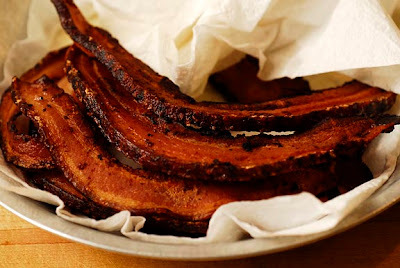 I am going to make a BLT Chilebrown style. I will not deviate from the classic very much. 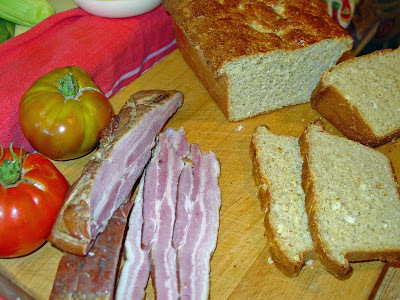 My version will have some home made corn bread and some home smoked bacon.The tomatos will be from the garden. Let's start with the bread. Let yeast proof in warm water. I used a food processor. I added all the rest of the ingredients and let the food processor do its magic. It is a sticky dough. Place in another bowl and let rise for 1 1/2 hour. Place in well oiled loaf pan and let rise for another hour or until the bread rises above the loaf pan. This can take more than an hour, so just be patient.Wash top of loaf with beaten egg. Bake in a 350 oven for approx 50 minutes. Remove pans from loaf pan and let cool on a rack. I I took a cup of Mayonnaise and added a teaspoon of home made Chipotle en Adobo. I fried the bread with a tablespoon of butter on a grill. I used some chilled iceberg lettuce and a heaping tablespoon of chipotle mayonnaise. 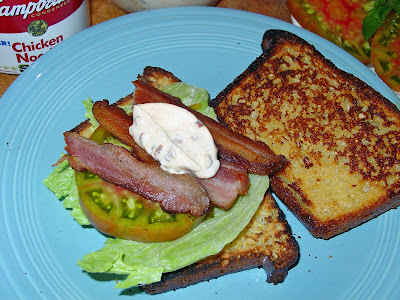 I topped it off with a couple of pieces of home made bacon I think this this is the best BLT in my world.!!!! 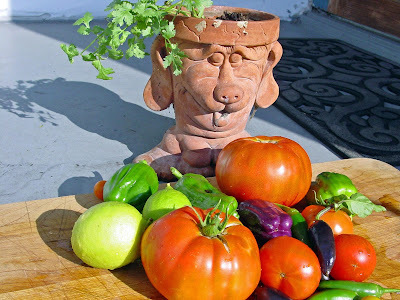 It is that time of year for fresh salsa from the garden. Pico de gallo translated means 'roosters beak'. It is a condiment made from fresh tomatoes, onions, and peppers. It is very simple to make. It is also good for your body because it is packed with vitamin C. This salsa goes with everything. You can customize it to your garden contributions or your taste. I love to put a couple of hot peppers into the mix for fun. It needs a splash of acid to perk up the salsa. I am using fresh limes from my backyard tree. Ms. Goofy planted a tree a couple of years back. She wanted fresh limes for her Margaritas. If you do not have fresh lime you can use a splash of vinegar. The following recipe is only an outline. Experiment and have fun! The House of Beef is a wonderful Meat stop on the way to, or from Yosemite. It is located in the town of Oakdale California. It is about halfway between the Bay Area and Yosemite located on highway 120. I have been going there for about 10 years. It is amazing how once you leave the Bay Area the price of beef drops. The House of Beef sells all cuts of USDA Choice at a very reasonable price. They do sell other products beside beef. Today their bacon will take the stage for the Bacon Revue. The first thing that catches your eye is the rainbow shape of the slab. I think this is just because of the packaging. 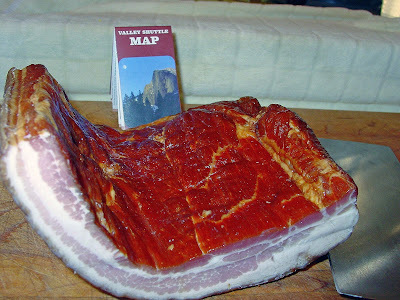 This is a Meaty hunk of pork. 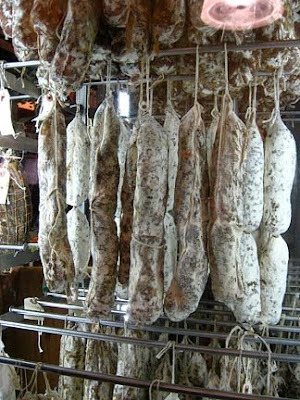 The fat to meat ratio leans heavy to meat. The rind is on the slab. A very nice feature of this bacon is the price. It is only 2.99/pound. It is cheaper than your local supermarket brand. We cut a couple of slices and fried them in a cast iron pan til crisp. At first bite, sweet is the impression. I could not detect any saltiness or smoke. The texture was pleasantly chewy. Ms. Goofy really enjoyed this bacon. She loved the sweetness and absence of smoke. I thought it was a good looking bacon and I really liked the price. I am always looking for that magical balance of smoke, sweet, and salt. It did not deliver the whole package, but, the House of Beef makes a very pleasant bacon. Today's bacon is going to receive 3 1/2 stars out of 5. Where: 201 North 3rd Ave.
Yosemite could not escape the smoke and heat of last week. Its beauty did shine through. It was just the ticket for a couple of vacationing Mad Meat Genius. We needed some relaxation and refreshment and the Ahwahnee Hotel would suit the bill. The Ahwahnee Hotel is a Grand Hotel built right in the middle of the Yosemite Valley floor with Half Dome, Glacier Point and Yosemite falls surrounding. It was built in 1925 and has attracted, Movie Stars,Presidents and even the Queen of England. We fit right in. Our room was located on the fourth floor. We had a balcony with a view of Glacier Point. If you click the image, you can see Ms.Goofy waving at some celebrity. We had another window which had a view of Half Dome. We finished our complimentary basket of fruit and were ready for the main course. We made reservations for the elegant Dining Room at the Ahwahnee. The Dining room is an attraction in its own right. It hosts the Bracebridge Dinners in the winter. It hosts wine and cooking seminars. When you walk through the doors it is customary for your mouth to drop in awe. We put on our finest threads. The Awahnee Dining Room has a dress code. It has been relaxed over the years. It used to be required to wear a dinner jacket and a tie but is business casual now. 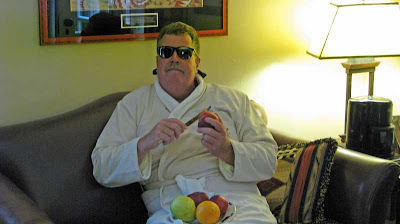 I think putting on some fancy duds, to chow down, places you in a more elegant frame of mind. The waiter gave us one of the most Stellar seats in the house. He placed us right up front in one of the picture windows. The Queen herself once sat at the table to our left. We were glowing with anticipation of the following meal. We ordered a Heirloom Tomato and Truffle Tremor cheese salad. It arrived and was almost too pretty to eat. It had some Yellow tomato(guessing brandywine) sliced over a bed of arugula. It had fava beans,tremor cheese and was dressed with Meyer lemon olive oil. Ms. Goofy exclaimed,'What are those black flakes all over the salad?'. I braved one and told her that they were truffle shavings. The truffle had a very subtle taste. We both agreed that truffles are overrated. We were very pleased with the salad. The main course was on its way. We paused and relaxed with a glass of wine. We just sat back and soaked in all the history and ambiance of this very special place. Ms. Goofy had the Prime Rib. It looked beautiful. Unfortunately it did not deliver. The Prime Rib had a funny texture like it had been reheated. It was served with Yukon potatoes and Yorkshire pudding. Asparagus and lavender sweet corn was a delicious accompaniment. I had the 'All Day Slow Roasted Pork Shoulder'. It was Neiman Ranch Pork that was served with black lentils,preserved lemons and tomato harissa with fresh herbs. This was melt in your mouth yummy. The pork was so tender. The tomato harissa had just a little bite that was the perfect partner to the lentils and pork. I was one happy camper with this dish. Our dinning experience with the Awahnee Dinning room was a memorable event. The waitstaff is fined tuned to cater to you every wish. The food can be powerful in its presentation. Our only slight was the Prime Rib. We can and have overlooked this flaw because of the whole experience. We are looking forward to returning soon. I am trying to talk Ms. Goofy into taking on a side job so we can attend the Bracebridge dinners this winter. 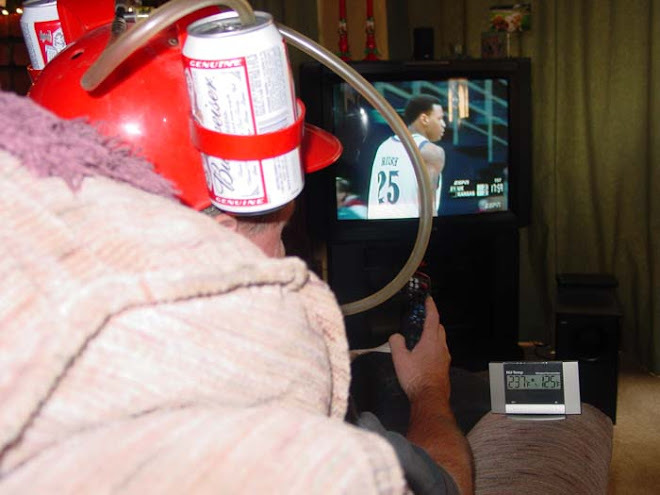 A man can never have enough barbeque accessories. I was gifted a 'Smokenator 1000' last Father's day by Ms. Goofy and the boys. They sure know my weak spot. The Smokenator is a device which converts your Weber into a smoker. It is a stainless steal insert that fits to the side of the kettle. You load 5o charcoals and a couple of wood chunks and your set. 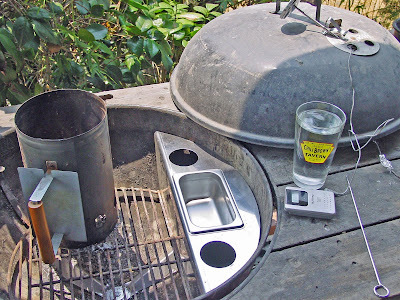 The Smokenator is fitted with a small water pan. 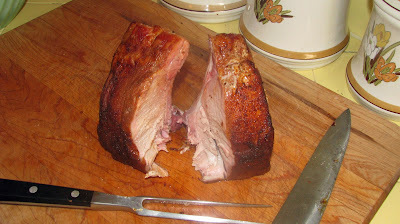 Today, I am going to attempt to smoke a small bone in Pork Roast. I picked up a Taylor Bi Metal Candy thermometer to monitor the temperature in the Weber. 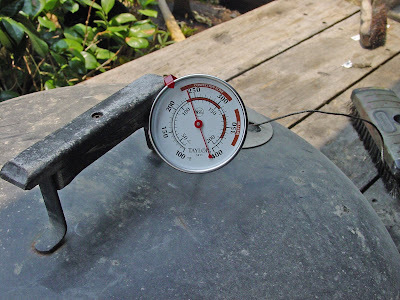 The ideal smoking range is 225 degrees to 250 degrees. To achieve this temperature I am closing the bottom and top vents to 3/16 of an inch. You can gauge this by a pencil. A pencil is 5/16 of an inch. Close the vent on a pencil and a smudge more. Light 10 charcoal in a starter chimney. When they are glowing add them to remainder of charcoal and wood chunks. I used apple wood. Fill your water pan. 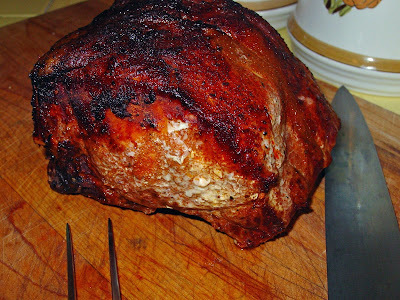 I rubbed my Pork Roast with my own special rub.. Place on grill and relax. I would check the fire every couple of hours. If the temperature drops a little, open the grill and stir the charcoals with the included rod.I cooked this roast to the internal temperature reached 150 degrees. It took approximately 4 hours. I let it rest for 20 minutes. It was a long 2o minutes. This pork roast was so juicy that I should of wore a bib. I actually served it with some red beans and rice. It was perfect for soaking up all the yummy pork goodness. 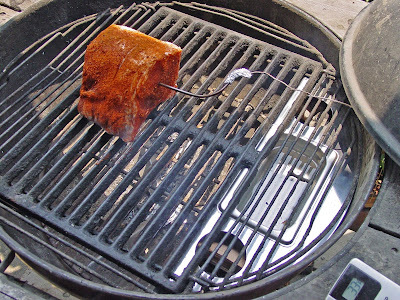 The smokenator is a great device to turn your Weber into a smoker. I may have to go out and buy some ribs for more testing. MEAT ADVENTURE "HOUSE OF BEEF"
We are returning from a couple of days of vacationing at 'Yosemite National Park'. Yosemite is a destination that I have been going to from childhood. I witnessed the Firefalls. I have camped in the campgrounds. I have stayed at Curry Village in the tent cabins. Today we have kicked it up a couple of notches and stayed at the Awahnee Hotel. It is not as much fun as Camping, but it is okay and I will expand later. The Bell Captain came to get our luggage and in a instant we were gone from a "Movie Set, of 'Luxurious Delights". We had more important things to do than sit around in the lap of luxury. We were on our way to a Meat Adventure. We were on our way to Oakdale, California. We are going to the 'House of Beef'. If you ask anybody from town, this is the place to get your beef. The House of Beef has everything you need. We actually bought a hind quarter a couple of years back. This is a no nonsense place to buy beef. They have all the usual cuts. If you live in the Bay Area you will not believe the prices. The prices were very reasonable. Today we actually bought some Bacon!!. Surprise, Surprise, Surprise. (Revue to follow). We picked up a box of home made ravioli. When I examined it a little closer, I noticed it was made in San Francisco. They were still delicious. 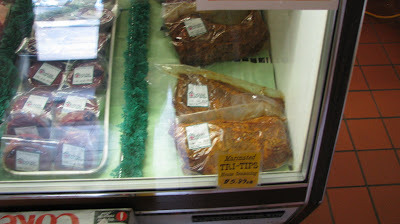 We also bough a marinated tri-tip. It went straight to the barbeque when we got home. The House of Beef is more than a butcher store. They have a restaurant and bar attached to the meat market. We did not get a chance to try it this time. We were there at 10 am and the restaurant had not opened yet. In the past I have witnessed wall to wall of customers. It must be pretty good. 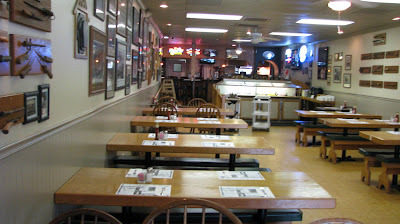 If you are traveling to Yosemite, stop on by the House of Beef. Ms. Goofy is the owner of a new vehicle. It has that new car smell. She wanted to go for a cruise. You know what that means, Meat Adventure. We woke up at the crack of dawn and cruised by the Reverend's house. He jumped into the spacious leather covered back seat. I actually got jealous, so I made him ride shotgun later. 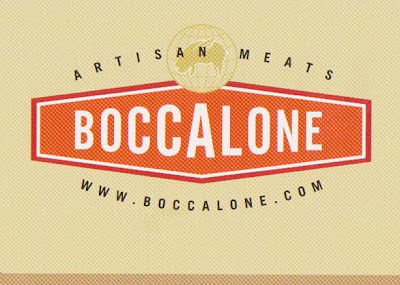 We drove across the bridge to our destination, Boccalone. 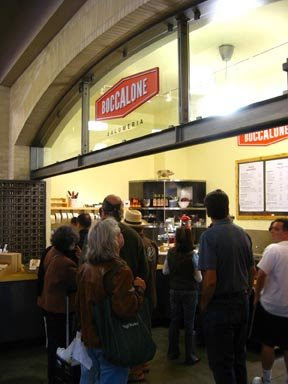 Boccalone is located at the food Mecca Ferry Plaza. We cruised the vegetable booths and ogled the pricey and pretty wares. Enough was had, we needed meat. I hope everybody survived the bombs bursting in air. It was a very delicious day yesterday. We attended a local barbeque hosted by our friend James Campers. He is a master at the grill and a partner on our First Place Competition Chili Team. We had a few cold beverages and swapped stories all afternoon. The highlight of the day was a pork roast that James had smoked. 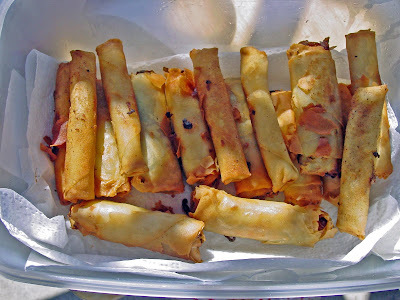 It was accompanied by bacon wrapped wienies and lumpia. OH YEAH!!!!! We just had a couple of good burgers from a large chain BURGERATORIUM. They were very decent and We will return to chow down again. I can do better. Fast Food is not in my vocabulary. I will make my own hamburger buns, and capture my protein with my bare hands. I will listen to Ted Nugent full blast.. This might explain things. I did have some help from the "Great White Hunter", with the Buffalo meat. The only thing I really killed was the punch line. Heat the milk to 120 degrees and add sugar. Heat up water to 110 degrees and add yeast. When yeast is bubbly add to milk and sugar mixture.. Add the rest of the ingredients and knead for 10 minutes.Add more flour if too sticky. Let rise for two hours or until doubled. Punch out and roll to desired shapes. Let rise for another hour. Take egg wash and bathe rolls with a light coating. Bake at 375 degree oven for 15 to 20 minutes. Let rest for at least 15 minutes. We made some Buffalo burgers with cheese. The condiments included ,Bacon Jam, Ketchup, Mayonnaise, etc. 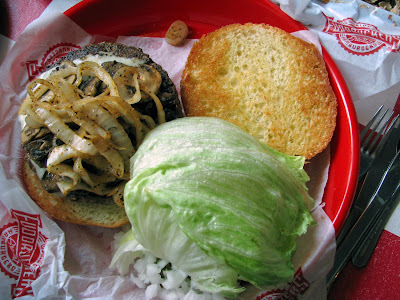 If you start out with a good Hamburger Bun, you have started on the road to the Ultimate Hamburger. One of my favorite comfort foods is a good burger. The best are always made at home. When you cook a burger at home you can control the proportion, seasoning and the condiments. There are times that you do not have the time or motivation to cook. 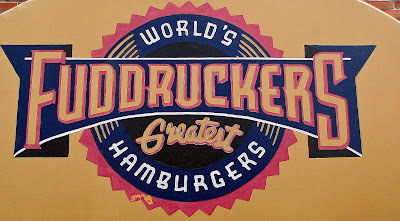 This is the time to pack the Hooptie with the family and head to Fuddruckers. 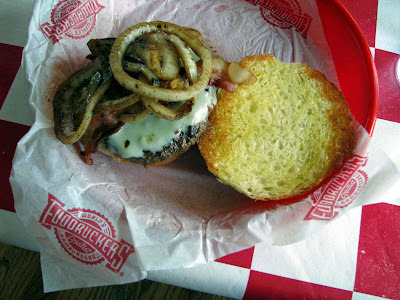 Fuddruckers is a large chain restaurant located throughout the states. We went to the one in Walnut Creek California. Once we were inside we were assaulted by a large menu over the counter. We had to make numerous decisions about our hamburger. We first had to chose what meat to have. They had beef (USDA Choice or Kobe), chicken, buffalo and Ostrich. One nice touch is they grind their own beef on the premise. The type of burger was next. I chose Swiss cheese and mushrooms. Ms. Goofy wanted the bacon, cheddar and grilled onions. You then had to chose what size. They had 1/3 pound to a 1 pound whopper. The rest of the choices were your sides and beverages. Once we had maneuvered through the line we grabbed a complimentary basket of freshly roasted peanuts from a big barrel to munch on. They call your number when your order is ready. It is time to make more choices. Their is a huge salad bar of condiments to dress your burger. It has all the usual suspects,and more, for a burger. It does include salsa, several relishes, melted cheese sauce and hot sauce. You could make a salad from all the vegetables they offer. Both our burgers were cooked to our specifications. They were juicy and flavorful. 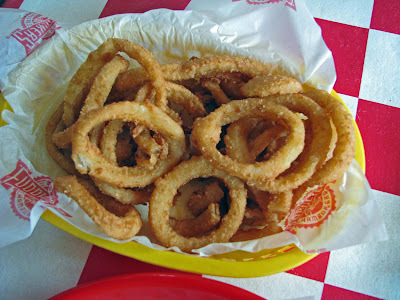 The onion rings were crisp and not oily. The buns are baked in a showcase oven. They were soft and fresh. The burgers were stellar. If you have any room for dessert, they have a counter that has fresh baked sweets. You can watch the employee baking the goods as entertainment. I am not a big fan of Big Chain Restaurants, but, Fuddruckers gets a thumbs up from the Chilebrown Clan. These burgers are a good substitute for cooking them yourself. The only drawback is all the decisions you have to make.